Well, first of all, there’s the literal meaning of the term in this picture. Thrashing about wildly for something to share without turning into Captain Buzzkill!, this popped up. Thanks, Muse! I really like the foreshortening and blurring effects of the roof tiles. 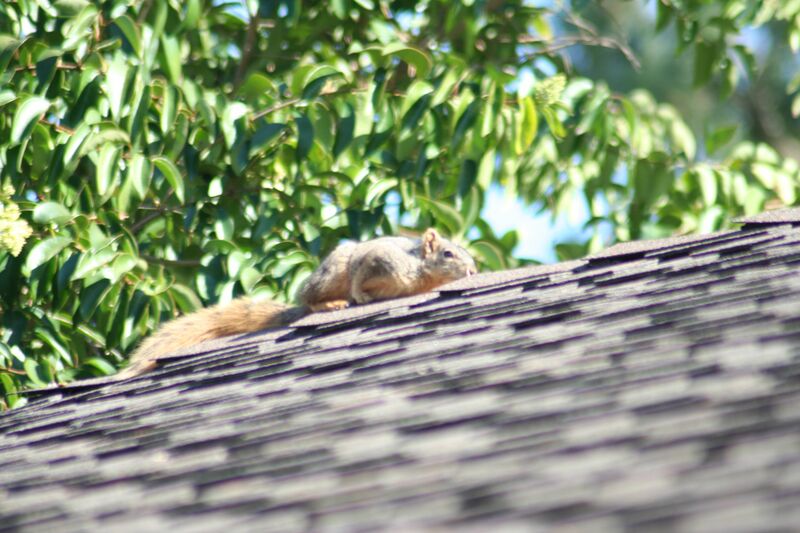 Then I was thinking about how this guy can (and probably will) be snatched off this sunny, warm roof by a hungry hawk, taken up to the hawk’s nest and ripped to shreds and eaten by the baby hawks. We’ll call this one even.